Keemo Paul took a wicket with his first ball but England otherwise survived the first session to be 46 for one at lunch on day one of the third test against West Indies in St. Lucia on Saturday. Keaton Jennings was the man dismissed, caught for eight in the slips off what was little more than a loosener from Paul. Rory Burns (27) and Joe Denly (four) were unbeaten, though Denly was almost out in the last over before the break when he gloved a Shannon Gabriel delivery to the wicketkeeper down the legside. The on-field umpire gave not out, prompting West Indies to call for a video review, which revealed that while the ball had indeed brushed a glove, Denly had pulled his hand off the bat handle in time, so the original decision stood. West Indies bowled well and beat the bat regularly as England rode their luck at times, a dropped catch and a missed run-out opportunity restricting the damage. 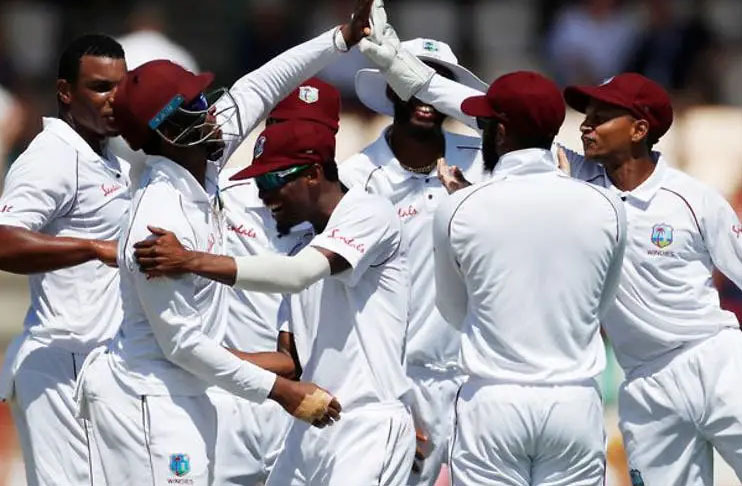 West Indies captain Kraigg Brathwaite won the toss and sent England in at Gros Islet, hoping his four-pronged pace battery would tear through the top order in a similar manner to the previous test. But England will be satisfied to get through the new ball with minimum damage. West Indies have won the series after victories in the first two tests. They made the one change, with Paul replacing suspended captain Jason Holder. England made two changes. Jennings and pace bowler Mark Wood came in for Ben Foakes and Sam Curran.